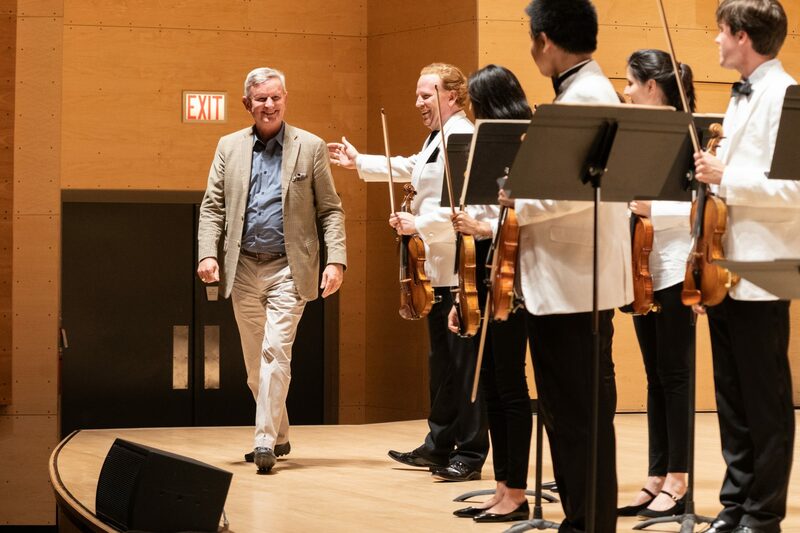 British violin virtuoso Daniel Hope leading and performing American composer Alan Fletcher’s newly-premiered Violin Concerto – with the Aspen Festival Ensemble. Recorded live on the 17th of July, 2018 – at the Aspen Music Festival, in Aspen, Colorado, USA. The 26 minute, 3 movement work, scored for solo virtuoso violin and 20 individual string chamber orchestra parts, was premiered in September 2017 by Daniel Hope and the New Century Chamber Orchestra. “Daniel Hope originally requested my violin concerto for the Zurich Chamber Orchestra and asked for some sort of nod to Zurich ….” composer Alan Fletcher has told The Violin Channel. “Rejecting bankers and precision gold watches … and even William Tell … I decided to portray the beauty of the lake and the mountains … in particular, the lake at night under a full moon …” he has said.